Thanks you all attendees of my PASS Summit 2014 session on Power Query. It was a pleasure to have all of you in my session. I also appreciate Alberto, Chris, Devin, Donabel, and Rafael who dedicated some of their times to attend in my session. I hope this be an informative session for all of you. Join this session to learn about applying advanced transformation through M language. M is the formula language of the Power Query and is much more powerful than the Power Query GUI functions. In this session, you will learn more about the top functionality of M that does not exist in the GUI, but is very helpful in ETL implementation. Features such as error handling, working with generators, and custom functions will all be discussed. You will also see lots of real-world live demos, one of which will be sample a date dimension with fiscal calendar attributes and public holidays fetched live. Thanks to all attendees of my session in TechDays 2014 Hong Kong about Advanced Data Transformations with Power Query. Power Query is the self-service data consolidation tool of the Power BI embedded in Excel. Power Query has ability to fetch data from variety of data source, and apply transformations through Power Query Formula language known as M. This session covers advanced transformation samples of M formulas to solve real world data consolidation challenges. Many of useful Power Query formula functions with live demos will be explored through this session. In previous posts I've mentioned that Power Query is a self-service ETL tool. One of the most fundamental functions of an ETL tool is ability to schedule ETL run. In the other words you would require to populate data from operational data stores on a schedule basis to feed into your Data Model. Power Query extract and transforms data into the Data Model such as PowerPivot. Now the remaining piece is to schedule data refresh. Marco Russo wrote a good blog post about it (this for his great post), and I want to explain that with a little bit more elaboration. Continue reading "Scheduling Power Query ETL Runs"
In previous post I've generated a date dimension with Power Query M script. In this post I will add public holidays to the date dimension from live websites. This post only considers New Zealand public holidays, but once you've learned how to deal with data, you can apply similar transformations with small changes to any other dataset and fetch public holidays from government or official websites. Continue reading "Data Dimension in Power Query - Public Holidays Fetched Live"
There are many date dimensions scripts on the internet, and even there are some scripts for the Power Query (Thanks to Chris Webb for his very early version of the date dimension, and also to Matt Masson for his version of Date Dimension). I’ve built a date dimension from scratch (not a copy or extended version), because one of my reasons to build this dimension was Practice! So I did that to practice Power Query more in action. There are some other reasons that why I built this dimension. To use it: Date Dimension is one of the most common dimensions in Data Model. It is too rare to you see a data model without date dimension. I used this as a practice to learn Power Query more in action. I need a demo for my upcoming speaking and presentations on Power Query. I like to share something useful in community. Continue reading "Script to Generate Date Dimension with Power Query M - With Financial Columns"
One of the most powerful features of M is that you can write custom functions to re-use part of your code. Custom functions can be single or multiple liner, they will be written in Lambda style syntax. In this post you will learn how to write functions and invoke them in M.
Continue reading "Writing Custom Functions in Power Query M"
Yesterday I've found a very awesome feature in Power Query (Thanks to Matt Masson). The feature is: you can see list of all functions in the Power Query with enumerations and option types with a keyword. I'm personally coming from a developer background, so that option for me looks like the Object Explorer in Visual Studio where you can see all objects and classes, their functions and properties with description. Here in Power Query you can see functions and options with their explanation, and even one step further; you can invoke any of functions from the GUI there. Continue reading "How to Get List of All Functions and Invoke Them in Power Query"
In previous post you've learned about Formula language of the Power Query known as "M". you've learned that M is a functional language that apply data transformations through script. In examples of previous post you've learned some of table functions such as Table.AddColumn, Table.Sort, Table.Join, and Table.PrefixColumns. In this post we will discover more table functions through an example. Continue reading "Power Query Formula Language M : Table Functions Part 1"
In previous post, I described what is Power Query, and how we can use that for self service ETL. You've how to work with Power Query menus and connect to different data sources, and apply multiple transformations on the data. In this post I'll go one step closer to the core of Power Query Formula Language known as M. In this post you will learn about structure of M language with demo samples. As you've learned in previous section, Power Query uses a GUI in Excel Add-In to fetch data from different sources and transform it with some functions. Every changes that you apply on the dataset through GUI will be translated to the formula language "M". M is a functional language. M is a powerful language, and the good news is that M is much more powerful than what you see in the Excel GUI of Power Query. The GUI doesn't implemented all functionality of M. So for advanced use of Power Query you would require to work with M directly. So as much as you expert yourself in M, would result better use of Power Query. So I dare to say learning M is not only the fundamental step but also the most important step in learning Power Query. Continue reading "Power Query Formula Language: M"
Power BI is the new self-service BI tools introduced by Microsoft. Power BI comes as part of Office 365 and Excel tools as some Add-Ins. Power Query is one of the main components of Power BI, and the functionality of Power Query is for self-service data transfer and ETL. In this blog post I'll describe what is the Power Query with a sample demo of how it works. 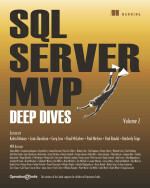 More Power Query posts would be written under this blog category here. Continue reading "Tutorial Introduction to Power Query"